As an ISA Certified Arborist, "Award Winning Heritage Oak Tree" Pruning Specialist, and owner - operator – climber, I am the arborist actually performing the work. My primary emphasis is to maintain a tree's natural form while trying to obtain the objective for pruning I carefully select where to make each cut then carefully execute that task, resulting in a very aesthetically pleasing specimen. The American National Standards Institute ANSI A300 (part 1) Pruning is the current standard for the tree care industry. Improper cuts can cause irreparable damage creating a hazardous tree with decay and weak attachment of new growth. Tree species susceptible to pests and diseases should be pruned at the proper time of the year so they're not predisposed to infestation or infection. 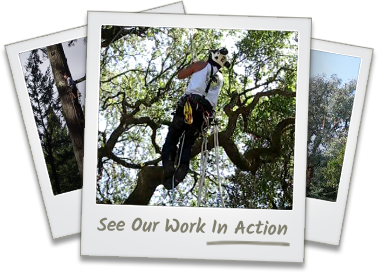 Contact us today for expert tree pruning services in Redwood City, San Carlos, San Mateo, Palo Alto, and the surrounding areas.